Recently, we thought that many people out there battling through the business school application process might benefit from some thoughts and insights from others who went through the experience. To that end, we started On the Record: Q&A with BC Alums. Last time around we spoke with Radina Russell. This time around, we got insights from the funny and talented Rhomaro Powell. Rhomaro graduated from the S.C. Johnson School of Management at Cornell University, and currently works in the financial services sector. Business School was the next logical step for my career progression. My ultimate goal is to operate my own private equity firm; however I felt I was lacking some core skills, i.e. finance and accounting. Additionally, I felt I needed the proper brand and network that would provide me access to enter the private equity universe. 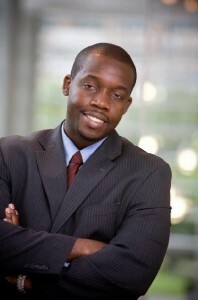 Johnson at Cornell University gave me the brand, network, and knowledge I needed. Business school as accelerated my career tremendously, mainly because it has helped me grow as an individual, expanded my network, and provided opportunities that I would not have had otherwise. For example, I went into business school with the main goal of improving my technical skills, but learned that the softer skills were at least as important – and perhaps even more important – to my career. I learned that knowledge only gets you so far, but being able to lead, influence, and build relationships with individuals will get you farther. In regards to expanding my network and opportunities, I was able to do so through organizations such as Management Leadership for Tomorrow and The Robert Toigo Foundation. These organizations have expanded my network from outside the business school I attended. Additionally, I studied in Madrid, Spain for 5 months. My network now spans all the top business schools and companies around the world. Understanding your passions and what drives you will make the application process easier. This will help when writing your essays and speaking with admission officers. Admission officers can tell when someone is not genuine, and they gravitate to passionate individuals. It will make you memorable. Each business school is different, so it is important to understand the culture and what makes each special. Harvard, Cornell, Stanford, Darden, Wharton, and NYU are not for everyone. Visit all the schools you are interested in and speak with both current students and alumni. The last thing you want to do is get into a school and find you don’t fit with the people, because this will be your network for the rest of your life and the two years will seem like an eternity. Remember, business school is not cheap, so invest your time and money wisely so you can get a great return. I applied to Stanford, Cornell, Michigan, Tuck, and NYU. Cornell and Stanford were my top two choices. Stanford said no, but Cornell said yes so I was on cloud nine. I took the GMAT 5 times. YES! 5 times! If you do the math it cost me $1500 (not including what I paid for prep courses and tutors) and over a year of my time. I thought it would have taken me at most two times to get the score I wanted. I considered the time and money as an investment in myself. Do not be discouraged if you have to take it more than once. 1. Put in the time. I would recommend a minimum of 20 hours a week. However, ensure you are studying efficiently or the time will not matter. 2. Schools look at both the overall score and individual scores for each section. Some schools tend to put more emphasis on the quantitative score, so really focus on doing well on the quant. Some schools use the score as an indicator on how an individual will perform in the quant-heavy core courses. 3. Use study materials from different prep courses. I used materials from Bell Curves (really great instructors and online tools), Manhattan GMAT (really good material), and the Official Guide to the GMAT (really good practice questions). 4. Studying in a group helps keep the motivation high and can add insight in tackling questions. You can learn a lot from your peers. 5. Do not give up. Many will go through ups and downs. Remember to keep your eyes on the prize and that you are more than just a 3 digit number. Business schools are looking for well-rounded individuals. I know individuals that went to top schools that did not break 600. It is not the norm, but it is possible.